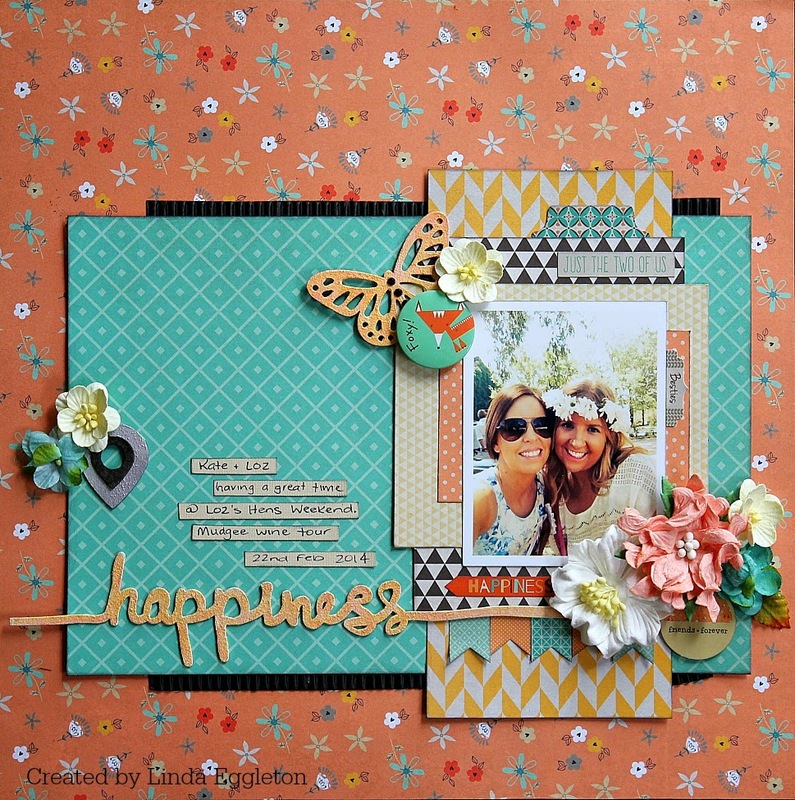 Today I have another layout to share for All About Scrapbooks, again using the super yummy collection from Fancy Pants - True Friend. 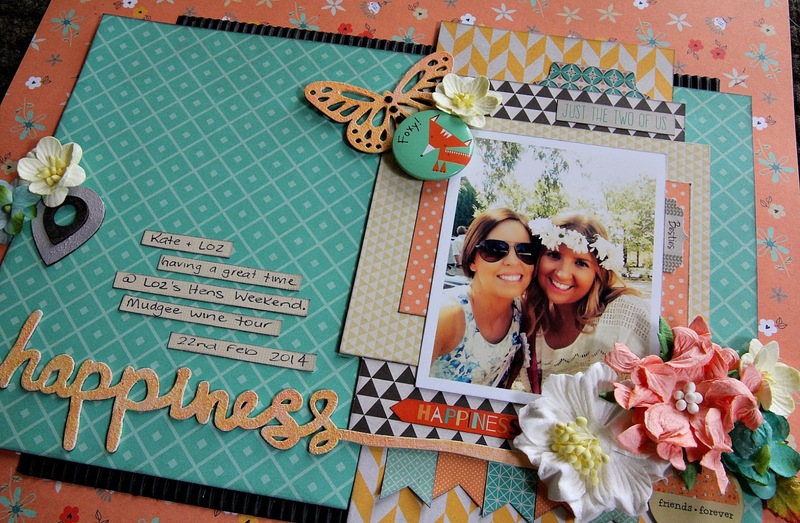 I know I've said this with every other layout using this collection, but the colours & patterns are just so gorgeous....soft teals & pretty oranges...with a bit of yellow, grey & black thrown in too.....what's not to love?! How pretty is that background paper? I couldn't bare to do anything else to it, so no background work on this one. And look at all that white space on the teal PP?! For me, it was REALLY hard to leave it like that...I first wanted to add more layers, or embellishments, or something...LOL! 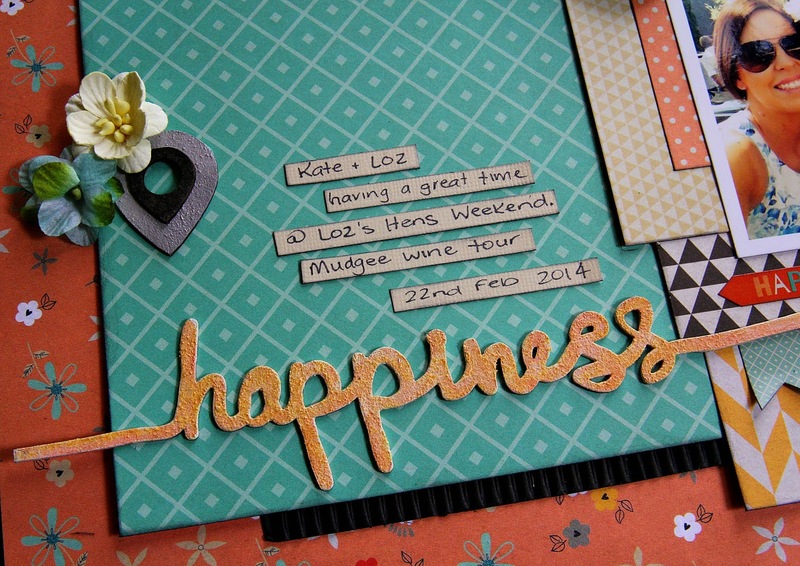 I LOVE these 2Crafty line words....they are so, so cool!! and are great for page titles. There's also some more 2Crafty chippie pieces, the Geotags that I've layered on top of each other - they are really cool also, and come in a pack of 17 or so. 8 different sized gorgeous butterflies. The pic is of my DD with one of her best friends at her friends Hens weekend earlier this year. So that is all from me for another week....thank you so much for dropping by! Another stunner of a page....& I've decided you're the Queen of PPs....you 'work' them so beautifully, & I think you done GOOOOD leaving that blue one with the white space....looks just right, to me!!! What an incredibly stunning page! 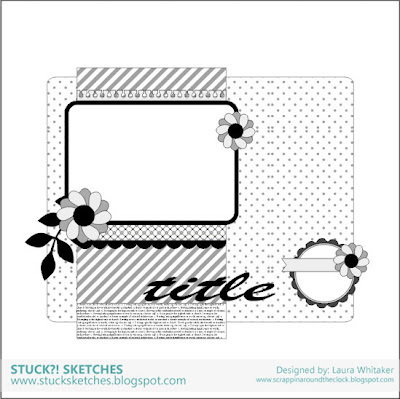 always love seeing your designs, thanks for sharing with us at Stuck?! Wow...beautiful Linda...I love your little clusters. Everything about this is just gorgeous! Love the flower cluster! Thanks for playing along with Stuck?! 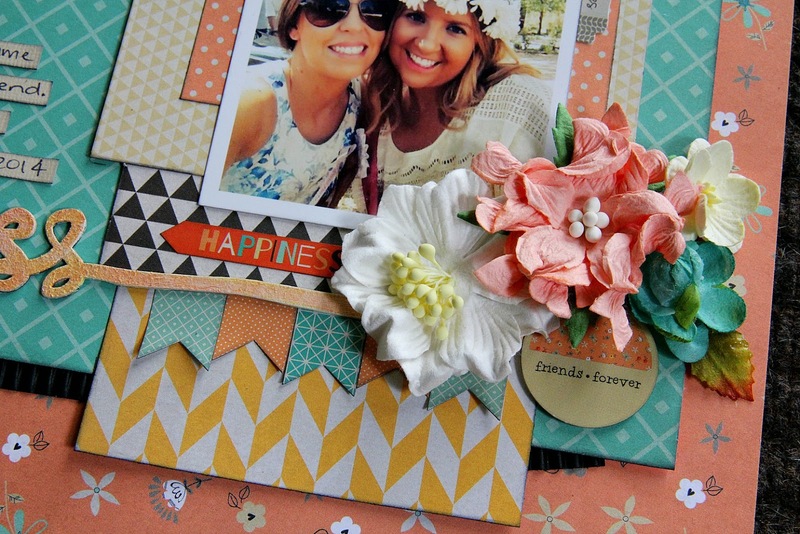 Another very pretty page & the 2Crafty looks awesome!! Stunning layout! 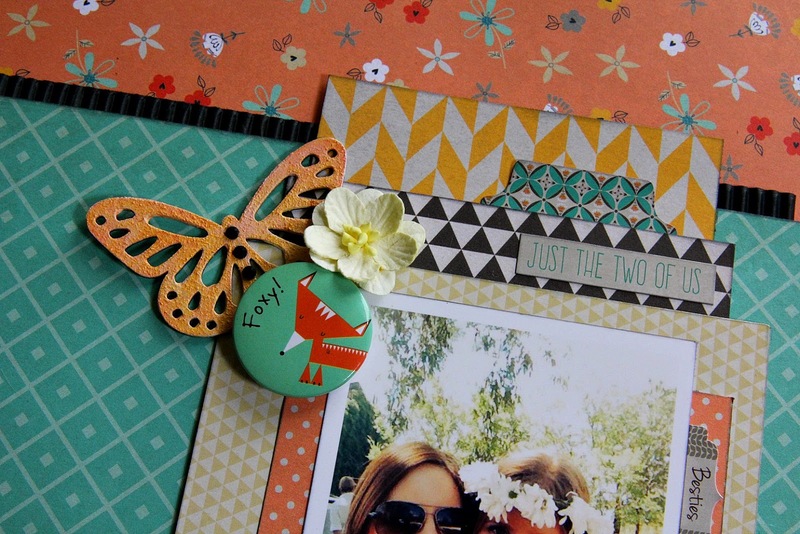 Love that collection and the fox flair is so adorable! Thanks for joining us at Stuck? !